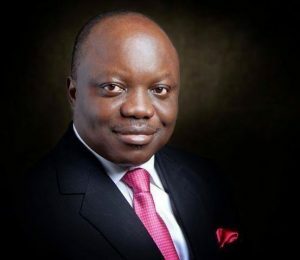 A former Delta State governor on the platform of the all Peoples Democratic Party (PDP), Emmanuel Uduaghan, has said his state will benefit from his presence in the ruling party, the All Progressives Congress (APC). Uduaghan, who would not like to be addressed as a decampee, said to State House Correspondents on Tuesday night at the end of the APC National caucus meeting presided over by President Muhammadu Buhari at the Presidential Villa, Abuja, said that one of the factors that brought him to the ruling party was the massive developments coming to the Niger Delta area under Buhari’s administration. When asked what he was doing at the meeting, Uduaghan said “Politics is about interest. I’m from the Niger Delta and I managed a lot of crises in Niger Delta. READ ALSO: PDP Primaries: Dankwambo will not defect – campaign org. “Sometimes I went to the creeks and engaged the boys and my principle when I was managing the Niger Delta was out of engagement and the current APC government the crises they met they succeeded in managing them through engagement. “Secondly in the area of infrastructure, this government has done very well. Talking about my state, for the first time a rail line came to Delta, for the first the gas city which we have been talking about, a committee has been officially inaugurated and for the time we have human capital development projects, school feeding and a lot is happening in Niger Delta.